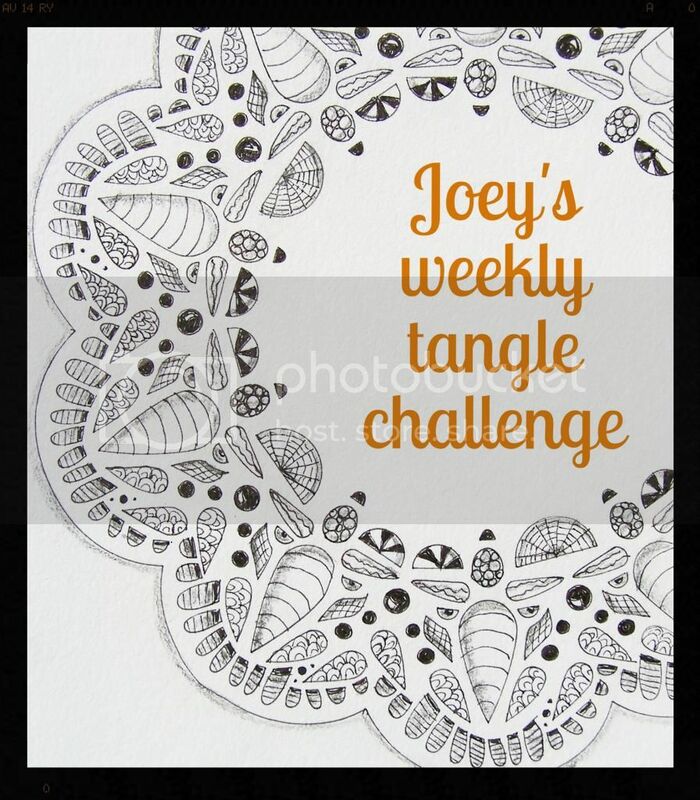 Joey's Weekly Tangle Challenge #70: Monotangle "Girdy"
What a great tangle pattern this was. I love the depth it creates. Just imagine actually getting something other than adds in the mailbox. Like beautiful handmade ART in the mailbox. Like zen in the mailbox! 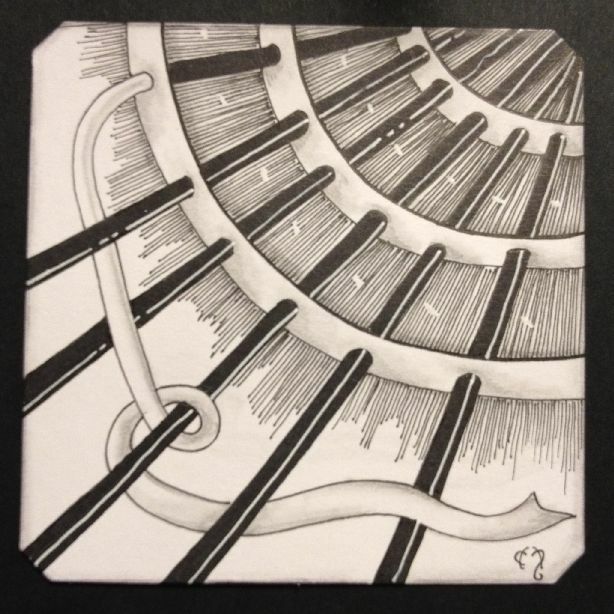 Today I have made a card for another recipient in Canada. That will be going in the mail tomorrow. So why am I not showing off my very first ATC ever? Because it's a surprise!! It's no fun, if you already know what's in the letter when you open it. 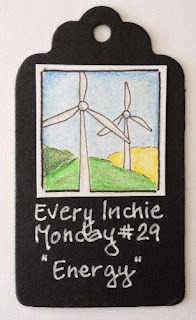 Love you inchie and also your tangle. Both are great. Love your inchie and tangle. Original idea for your Girdy. Love the way it melts and becomes tangled in another rod. Your inchie is cool!! Your Girdy is amazing!! Just WOW - I love the design of it and the color too :) Beautiful! !